This is the most unusual muffin I have ever made. When I first made them, I thought I had done something wrong and re-read the recipe 3 times to make sure I was clear on everything. 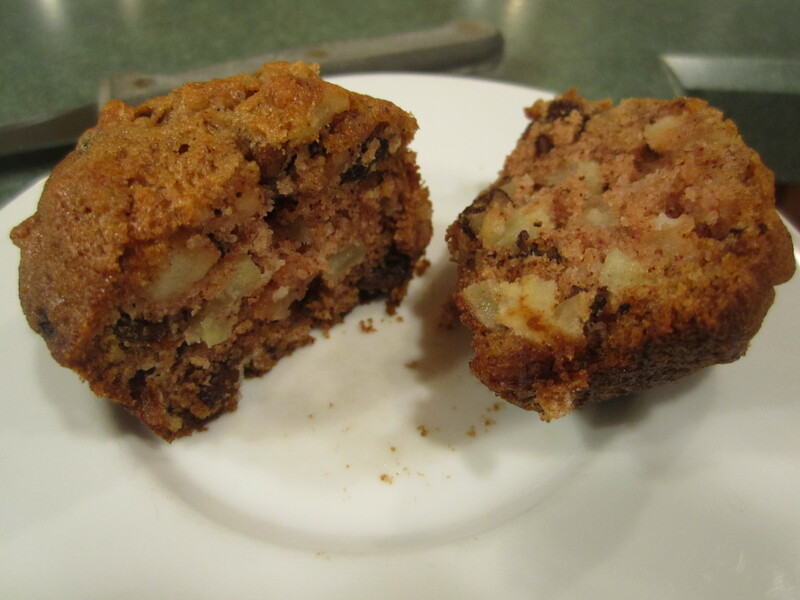 The batter is super thick so the muffin comes out packed with apples, raisins and walnuts. I tore out this recipe from Gourmet, September 1987. They were reviewing Marion Cunningham’s ‘The Breakfast Book’, and included several of her recipes. This was one of them. Gourmet.com no longer has the recipe on their website and the book review from that year is not there either, otherwise I would have linked you right to the recipe. I am copying it here, with some slight changes in directions. 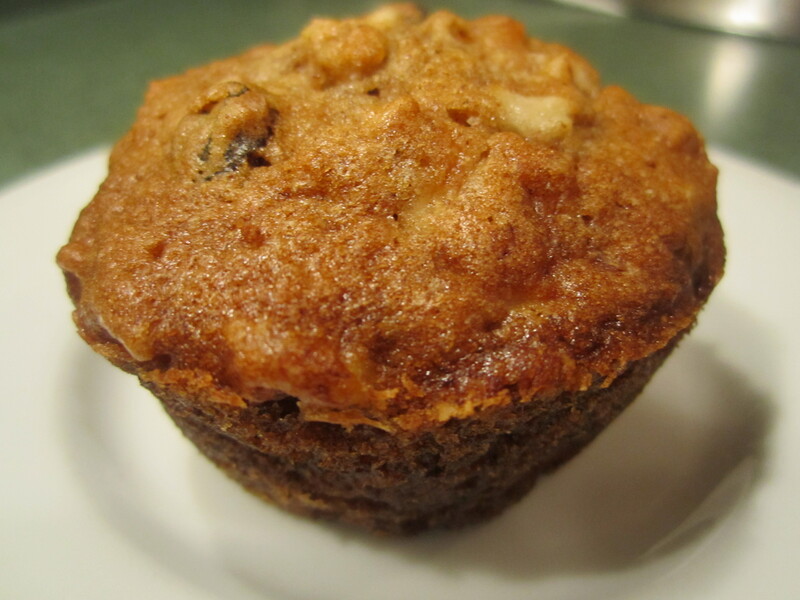 So enjoy: it is now one of my husband’s favorite muffin! Canola oil spray 21 muffin tins. 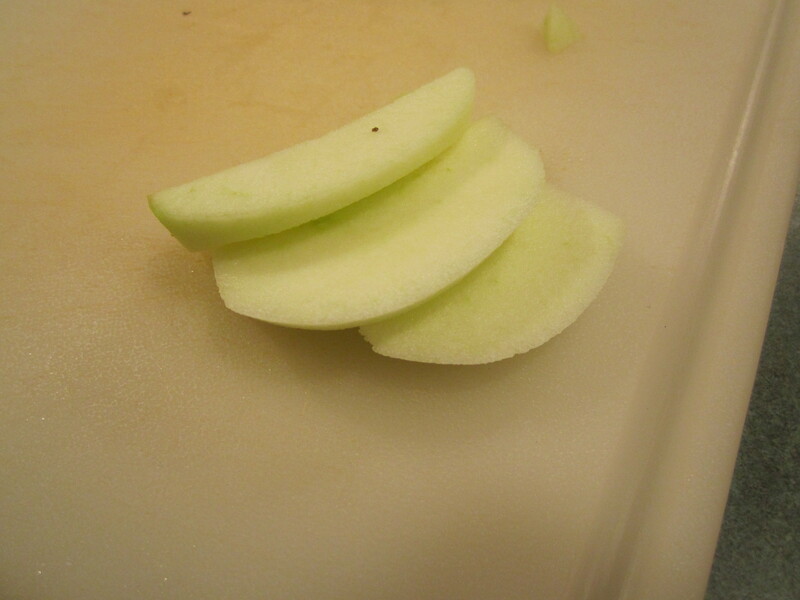 In a large bowl, toss the apples and sugar together. In a small glass bowl or glass 2-cup measuring cup, combine the eggs, oil and vanilla and stir together with a whisk. 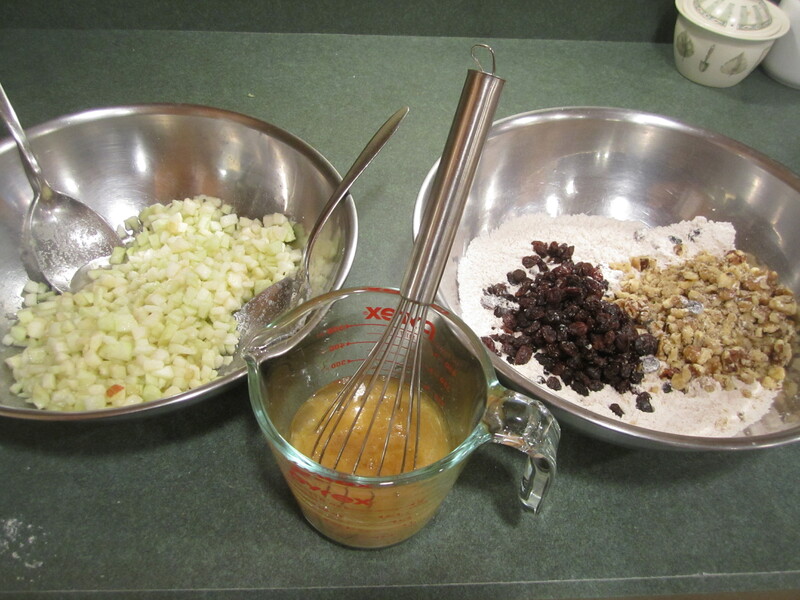 In another large bowl, combine the flour, baking soda, cinnamon and salt and stir together with a whisk. 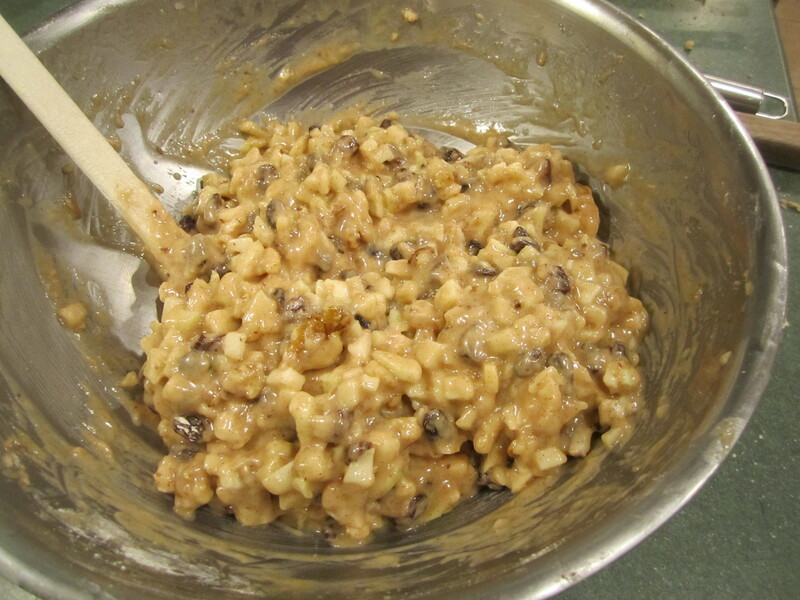 Add the raisins and walnuts to the flour mixture and stir thoroughly, breaking up walnuts and separating the raisins with your fingers. 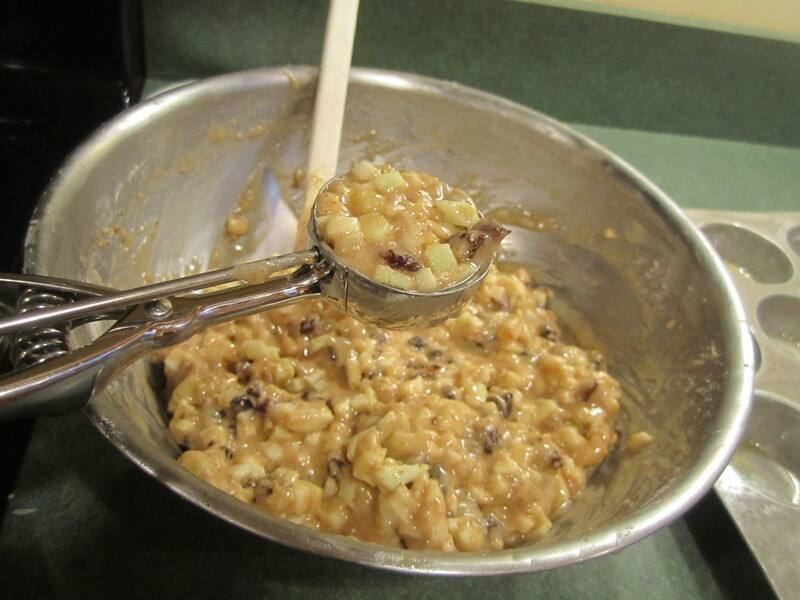 Add the egg mixture to the flour mixture and stir until just combined. 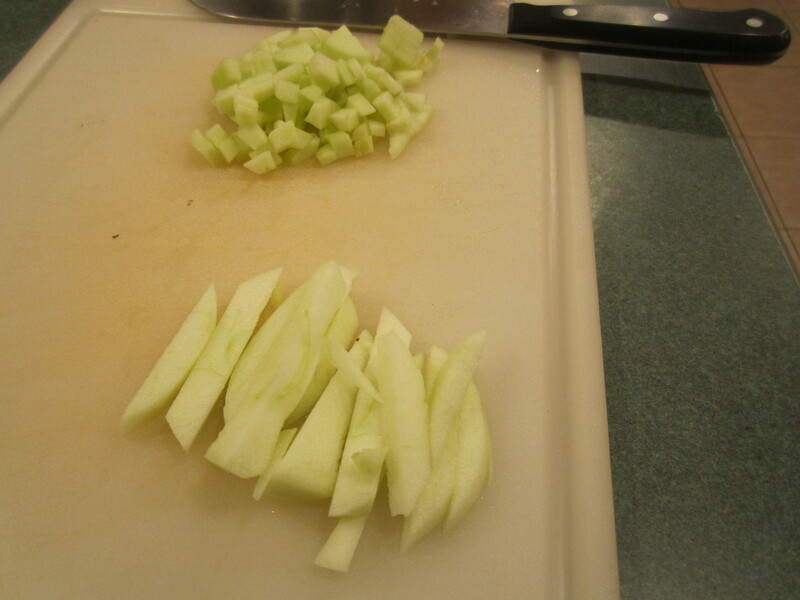 Then add the apple/sugar mixture and fold and stir together until just combined. The batter will be extremely thick. This is the way it’s supposed to be. 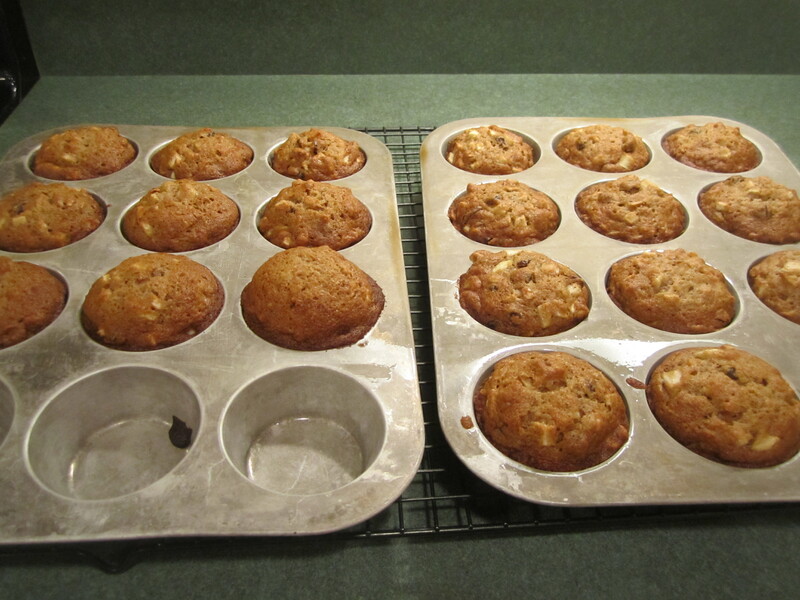 Using an ice cream scoop, that measures a scant 1/4 cup, scoop batter into prepared muffin tins. Bake at 350 degrees for about 18 minutes until golden brown. Let cool in pans for about a 1/2 hour and then remove on to wire racks to cool completely. They can easily be frozen, if this is too many to eat all at once. Though they stay fresh pretty nicely for a couple of days on your kitchen counter. 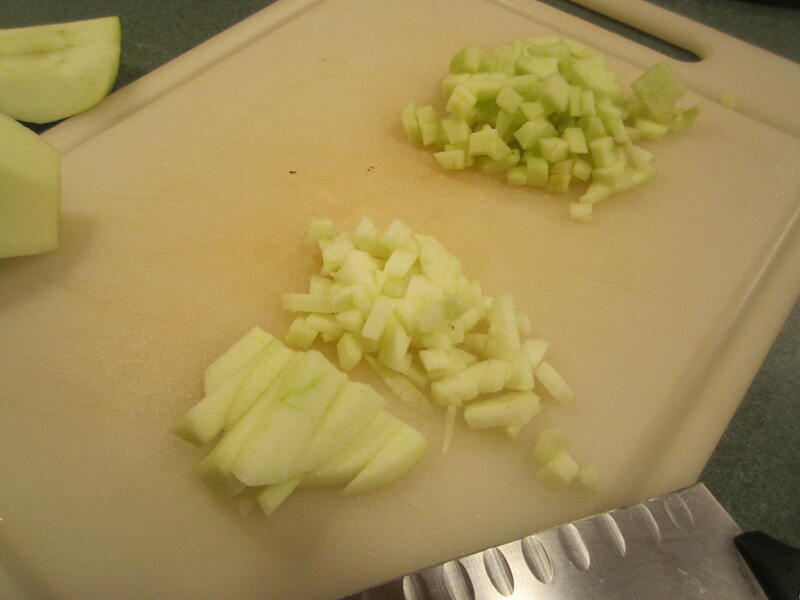 Your apple pieces need to be a small dice. Here’s how to do it. 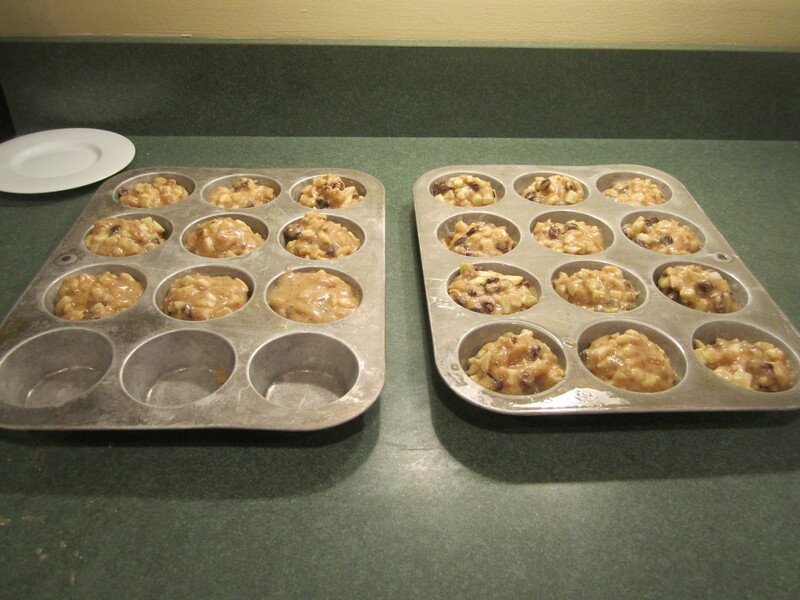 Susie- I’m making your apple muffins this morning- yum! I’m going to Cali 10/16-20 – you? Oh good! you will like them 🙂 posting another muffin recipe soon! I am jealous, wish we were going then too. We probably will not go again until March 2016 but will see Sarah & Ian Thanksgiving for a short visit and Christmas, hopefully for a longer visit. Have a great time!! !